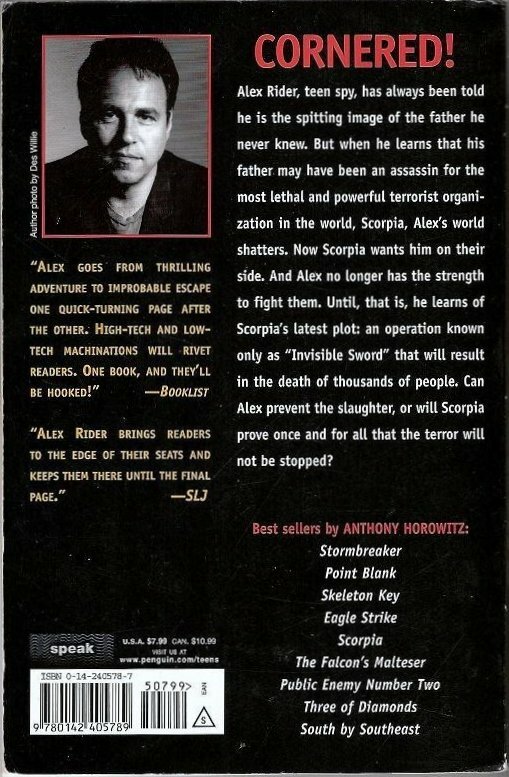 Alex Rider, the 14-year-old spy and adventurer from Stormbreaker (2001), Point Blank (2002), Skeleton Key (2003), and Eagle Strike (2004, all Philomel), is back. 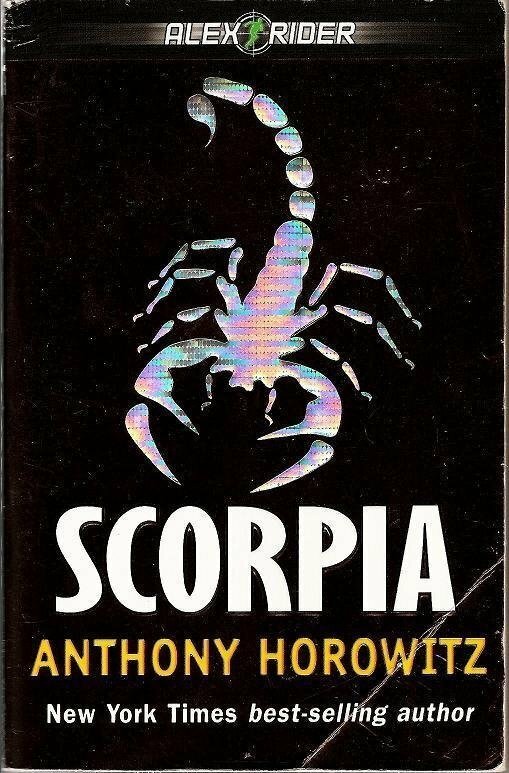 While vacationing in Italy, he is recruited by the deadliest terrorist organization in the world, Scorpia, away from the world of M16, a British secret intelligence organization. Through a web of lies and deceit, Alex is persuaded to assassinate the deputy head of M16, a former friend and supervisor, while Scorpia plans a secret mission that will kill hundreds of thousands of British children in the blink of an eye. Missing his target and captured by M16, Rider is sent back into Scorpia, but this time as a spy. It is only with the teen's help that M16 can stop the organization's vicious threat. Of course, Alex Rider saves the day, but not without psychological mind gaming and fighting that will bring readers to the edge of their seats and keep them there until the final page.